Molly knows an awful lot about fonts and is quite good at baking pumpkin muffins. Molly grew up in the great Pacific Northwest and gets annoyed when people in New England claim that they have mountains. She studies graphic design, urban planning, education, community-based art, video, animation, photography, and other neat things. Her primary passion is FONTS! She is obsessed with all things typography and is a member of the Society of Typographic Aficionados. She has a strong affection for ampersands. 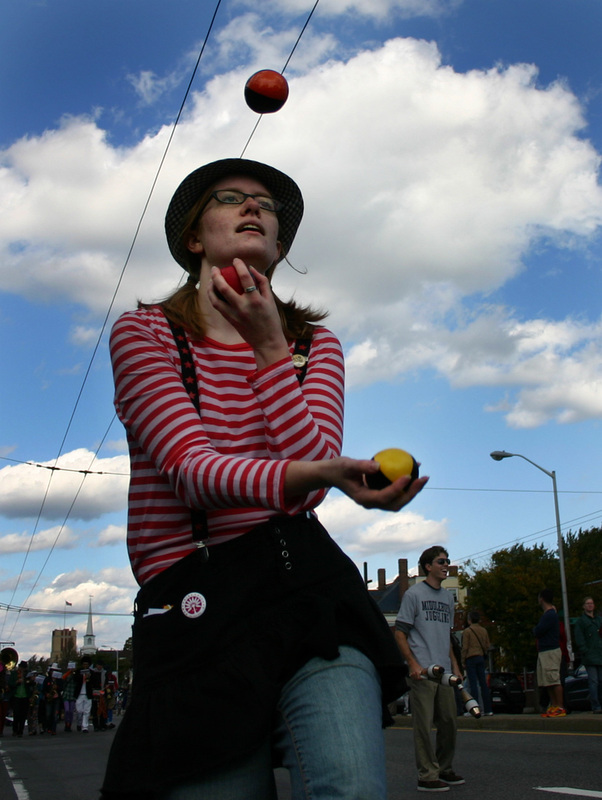 She has also played and performed with the circus for many years, as a staff-spinner, acrobat, and more recently as a juggler. Other things Molly likes to do include organize flash mobs, build community, take pretty pictures of you, go on long bike rides, and creatively disrupt everyday life. The Downside-Up Circus – In the summer of 2009 Molly co-founded a nonprofit circus company with two others (Tara and Victoria). Their first major project is a tour of the northwest during the summer of 2010, entitled INTERROBANG, during which they will travel exclusively by bicycle. Mighty Cycle Media -Molly’s little media company that does design and publicity for nonprofits, small local businesses, and social causes. Also, her other blog. The Heretics – Molly spent two years doing motion graphic design, art direction, and animation for this feature length documentary film about a feminist art collective in the 1970s. The Society for the Creative REalization of a Weirder You (SCReWY) – Molly and Tara organize flash mobs and make cheeky instructional videos.